A day out on the water or hiking through the forest can build a strong appetite. 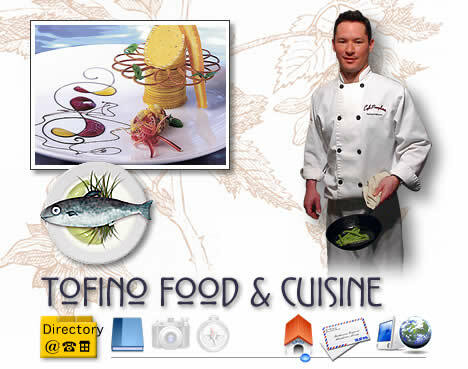 Tofino has the full range of food services to satisfy all your needs. Several of the Tofino restaurants have established themselves as award winning places for fine dining. Whether you are looking for a quick bite on the run, supplies for your own creation, fresh Tofino seafood or the luxury of a gourmet meal — all can be found within Tofino. It’s recommended to get reservations for any of the Tofino restaurants for they can get quite busy. Many cafés in town provide packed lunches that can be very convenient for a day of adventures. A wide variety of Tofino restaurants, Tofino cafés cater to the Tofino visitors. Listings and articles from Tofino Time Magazine.